Refreshments are available for purchase. 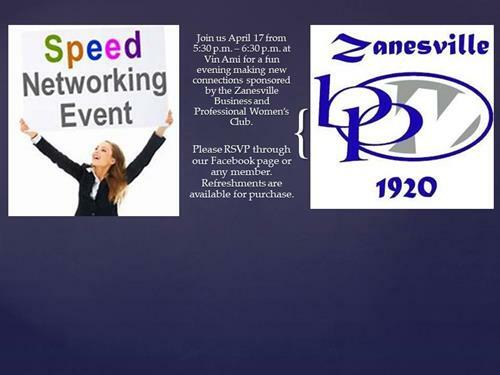 Join us April 17 from 5:30 p.m. – 6:30 p.m. at Vin Ami for a fun evening making new connections sponsored by the Zanesville Business and Professional Women’s Club. 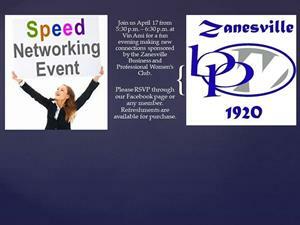 Please RSVP through our Facebook page or any member. Refreshments are available for purchase.